"We couldn't have asked for a more beautiful venue or a nicer couple to work with for our wedding. Alex & I recommend you whenever it comes up! Thank you for the beautiful wine glasses and the wine-we are saving it for our 1 year!" "Thank you for the gift of the wine and beautiful wine glasses. We are saving the wine for our one year anniversary! Thank you for all that you did to help make our special day perfect for us! Happy Holiday! " "Thank you so much for your thoughful gift. We absolutely loved the venue. Everything made our day so unforgettable! Thank you for everything!" "What an amazing place you have created! We feel very blessed to have spent our special day there! Thank you also for the amazing thoughtful gift! What a keepsake for us- Thank you so very much!" "Thank you for the wonderful wedding! You guys are awesome! It was perfect!" "We will always cherish the memories of the beautiful wedding. You are beautiful people with a beautiful place. " "Thank you so much for your help & for your venue. I couldn't imagine a more perfect setting for my wedding. Thank you also for the wine & engraved glasses. It is a wonderful gift!" "Thank you so much for all you and your staff did to make our wedding experience so wonderful. Le Petit Chateau was truly the most beautiful venue we could have imagined and the perfect setting for our lovely wedding. We got so many compliments on our choice of venue!" -Thanks again!- Amy & Matt D.
"Thank you so much for the beautiful wine glasses and wine. It was such a sweet gift & we both love and appreciate it. We also wanted to thank you for making our wedding so special. It was truly a perfect day. Your venue is spectacular in so many ways & we heard from everyone how beautiful it was. You were great to work with and we truly appreciate everything you did! Thank you for making our day so special and unforgettable!" -Love, Nathan & Danielle K.
"We just wanted to send a quick note and thank you for the bottle of wine and the personalized glasses. It was and unexpected and pleasant surprise! Our August 4th wedding was amazing and we could not have asked for a better venue! Every one of our guests commented on how great the venue was and how it fit Ian and I perfectly. We are so happy with how everything turned out. Le Petit Chateau is beautiful and it made for the perfect backdrop to our special day!" "Thank you for the wine and glasses, how special! Getting married out there was an absolute dream! Thanks for all your hard work." "It was the perfect day and I don't think we could have asked for it to be any better.We have gotten so many compliments on the venue and I think every one of our guests were in awe of what a pretty venue you have. I will be sure to recommend you to anyone looking for an event place. We are so happy we picked Le Petit Chateau for our wedding!" 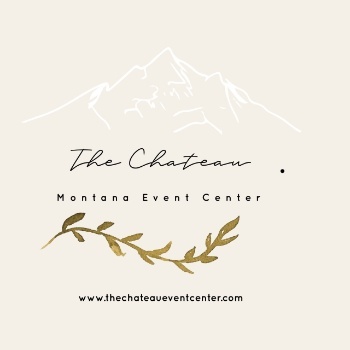 "I want to personally thank you for your help these past weeks- the event went smoothly and everyone loved Le Petit Chateau! Thank you so much!" "Thanks to you and your crew Josh and I had a wedding that was beyond our dreams!" "Thank you guys so much for the beautiful venue , for all of your help and for such a beautiful and unexpected gift! We truly love the monogrammed wine glasses! They are sitting right out on the counter with one of our centerpieces and candle. Our night was perfect!" "Thank you so much for all your help to make our special day beautiful! " "Thank you for all your work in making our wedding such a momentous occasion! Your flexibility in the scheduling, allowing us the time to set up on Friday, all your assistance with everything really made the day go smoothly! And I so appreciate your willingness to accommodate our unique set up! Thank you for having such a beautiful venue for us to be married in! For us, Le Petit Chateau was love at first sight, and you both never gave us a single reason to wish that we had chosen otherwise. Thank you Thank you! "Thank you for the perfectly great wedding! It was beautiful. Thank you for the use of your facilities and your help with many things. We are happy and grateful! We enjoyed working with you and your kind attitudes. " "The Chateau was absolutely the perfect setting for our wonderful wedding! Thank you for all of your help!" "We want to thank you again for all of your help in making our wedding day so very special! Not only that, but you were also so kind to give us such a beautiful gift! We both love the personalized wine glasses and are keeping the wine for a special occasion. You truly know how to make newlyweds like us feel special!" "Thank you for letting us rent your beautiful venue for our wedding. With your help, it turned out spectacular! Thank you also for the delicious wine and gorgeous wine glasses, we shall treasure them and the memories they represent." "We cannot thank you guys enough for everything you did for us and making our day perfect! You told us over and over it would be perfect- and it was! Thank you for the reassurance Thank you also for the wine and the beautiful glasses. They are an amazing reminder of our wedding story and your kind heart to open your venue to us! Thanks!" "We had such a magical day at the Chateau, and cherish all the memories we made."